The WebReserv Gold version now allows you to swipe credit cards directly into the reservation form and the virtual terminal form. 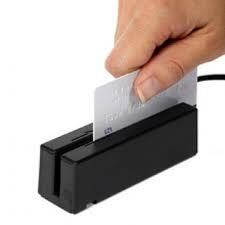 To use the credit card swipe, you need a compatible credit card reader that can emulate keyboard strokes. It’s easy to test if a credit card reader is using keyboard emulation: open textpad, wordpad or another wordprocessing program and swipe a card. A long line of text and numbers should immediately show up in the wordprocessing program. How to use a credit card reader with WebReserv. 1. Position the cursor in the card number field (either on the reservation screen or the virtual terminal screen). 2. Swipe the card. The name, card number and expiration year/month field will automatically be filled. 3. Verify that the last 4 digits of the card number on the screen matches the last 4 digits of the card number shown on the card. 4. Enter the security from the front or the back of the card manually. You may also have to manually adjust the credit card type (Visa, Mastercard etc). Note: For security reasons, you must turn off “auto-fill” on all browers that are used to accept credit card information. This entry was posted in General, New Features, Payment Systems and tagged booking system compatibility, booking system credit card reader, use a credit card reader, using a credit card reader, webreserv credit card reader.